Jack Terricloth presents: Inspirational New Jersey! 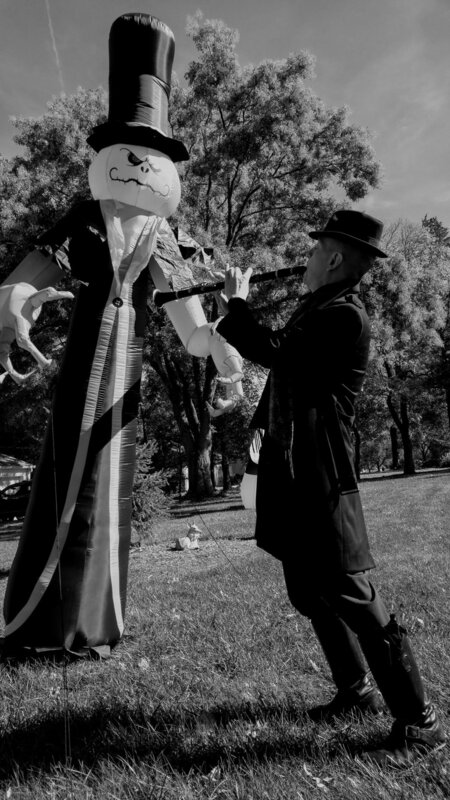 The leader of the mythical World/Inferno Friendship Society traces his winding Jersey roots. Hey kids, this is Jack Terricloth from the popular and attractive World/Inferno Friendship Society. We’re a bunch of girls and boys from all over the world but I happen to have had the good fortune to have been nurtured and perverted by the fine state of New Jersey so the kind folks at the White Eagle Hall have asked me to list some of the places, peoples and times that put the Jersey in the boy. I’m kind of on a timetable so i’ll be brief. I was born a prison baby in the Clinton Correctional Facility for Women in Union Township, Hunterdon County, New Jersey. After being branded and taken away from my mother I was placed in the Joyce Kilmer foster care facility in New Brunswick, New Jersey. Upon reaching maturity I was allowed to leave the pharmaceutical mines of Johnson and Johnson and made my way in the world. I soon drifted into a bad crowd. We were kids in New Brunswick and The Court Tavern had jerks for doormen so we never got into there. Instead we went to shows at Scott Hall on the Rutgers campus where I discovered the punk rock and slightly older girls who had cars and lived in affluent Highland Park. We would walk over the bridge after dark. Record stores and punk houses, mysterious older punks with acronymic band names. Weekends divided between City Gardens in Trenton, The Crypt in Philly and Cb’s in New York. We would pile into box trucks or take the PATH train with its particular sulfur stink which still makes me smile. Joined a crappy band, saw the world, got good at it, then started a very good band which you will you will see on Saturday. Come up and say hello -- I could go on and on. Join our mailing list for weekly concert updates!